Home » Mind » Personal Success Practices » What Do I Want To BE When I Grow UP? It can be frustrating not knowing what you want to be when you grow up when so many people seem to know what they want to be. The truth is we often have 5 or more different careers in a lifetime. We get to re-invent ourselves and start fresh with who we want to be when we grow up.Dont give up on yourself. Who you are meant to be will present itself. 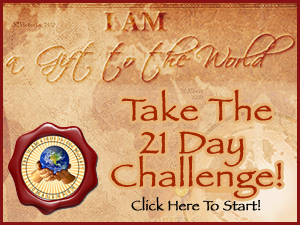 So in the meantime, Take the 21 day “I Am a Gift to the World” Challenge and start seeing just how important you really are.